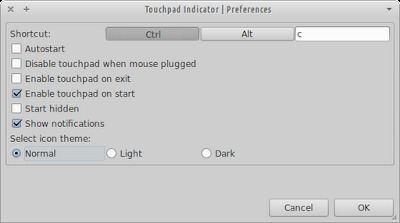 Touchpad-Indicator is an indicator program that allows to manually enable/disable the touchpad. Touchpad-indicator can be accessed via Applications Menu > Accessories > Touchpad-Indicator or running the command: touchpad-indicator. 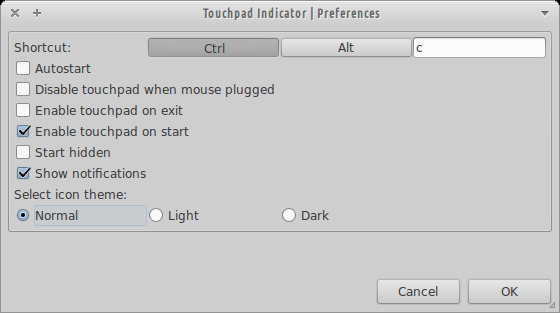 When running, the Touchpad-Indicator will be placed in the Xfce's panel Indicator-Plugin, then just click on it to access a menu that gives access to the options of enabling/disabling the touchpad, hide the icon, help, preferences and exit. There's a keyboard shortcut (Ctrl+C) to enable/disable the touchpad that can be changed in the preferences. Thank you. It help me lot. Awesome!!!! Liking xubuntu more and more all the time with help like this!